On Tuesday 13 October I’m having the launch for The Best Beer in the World at Bottle Shop in Bermondsey. I’ve picked some of my favourite beers to go on the bar (and you’ll get a few free ones if you buy the book on the night), I’ve ordered a lot of good cheese from Neal’s Yard and some St John Bakery sourdoughs, plus I’ll make a couple of cakes (using beer, obvs, and a tasty preview for my fourth book, which I've just finished writing…). I’m also starting to plan in other events and chats around the book. 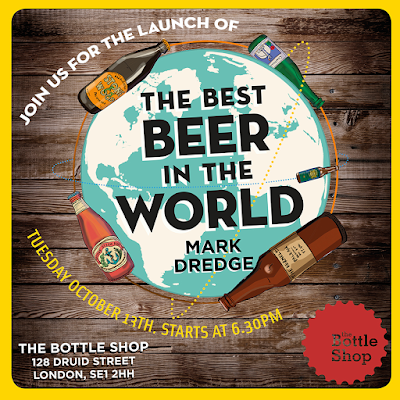 The next one will be at The Beer Shop London on Monday 26 October. 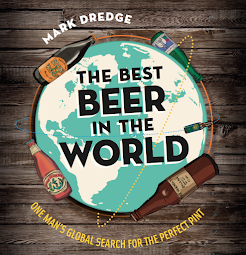 That’s £15 for a bunch of good beers and a chat about the best beer in the world – the idea, the search, the conclusion. If you plan on coming to the launch at Bottle Shop then let me know so that I can plan exactly how much beer we'll need. Have fun, wish I could make it along, sounds a good event!